3 to 3.5mm. Dark brown with with a dense patch of pale hairs in the middle of the elytra. Short curved setae around the outer edge of pronotum and elytra. Legs and antennae reddish brown. 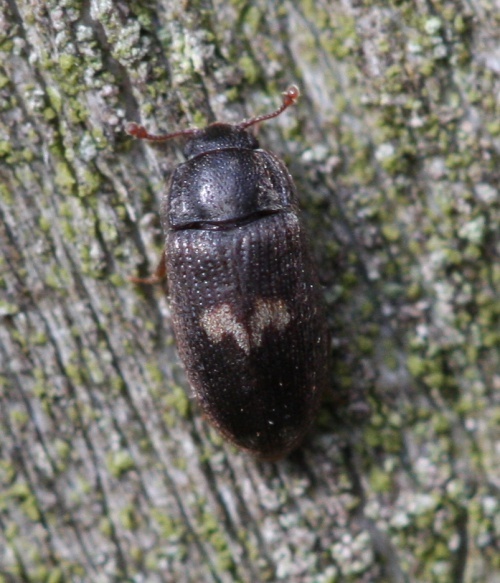 Usually found on or beneath King Alfred's Cakes fungus (Daldinia concentrica) on which the larvae feed. When the fungal food of the larva is fruiting. 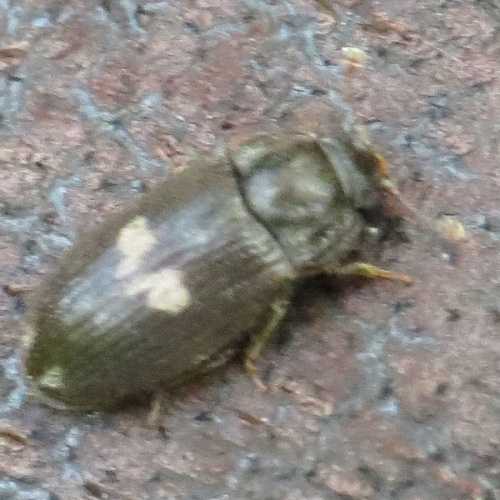 Fairly common across England but with fewer records in Wales and appears to be scarce in Scotalnd. Occasional in Leicestershire and Rutland. There were a total of 26 VC55 records for this species up to March 2015.